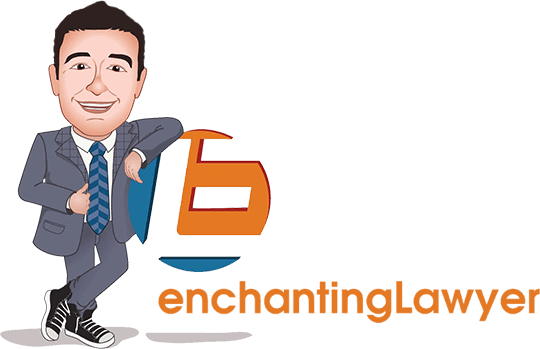 Ravi Shukle is one of the UK`s top online marketing consultants. He helps businesses to build better relationships, tell better stories and manage their social media better. His current project is in making businesses more customer focused and building and developing online communities to help companies market themselves online. In today`s show, Jacob talks to Ravi about the importance of online communities, how to build them, and how to use social media as a marketing tool. 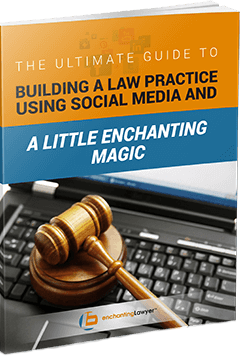 Over the last few years we have seen a push in using social media as a marketing tool. In the ever-changing world of the internet, online marketing seems to be becoming increasingly human and community-based. 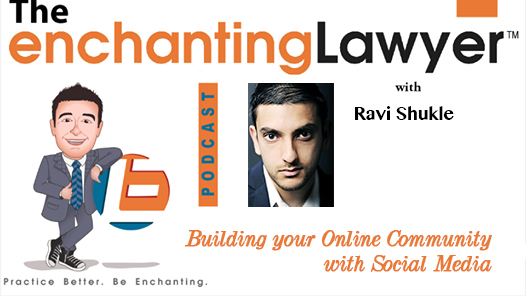 In today`s show, Ravi Shukle, an expert in digital and online marketing talks to Jacob about how to create and develop online communities, use social media for marketing and shares some tips on creating great content. 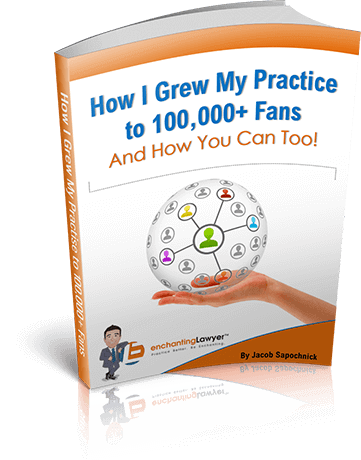 Jacob: Hello everybody, this is Jacob Sapochnick, enchantinglawyer.com. Welcome to our podcast. This is a show where we interview the most inspiring entrepreneurs and professionals from all over the world who shared their stories with us and, of course, inspire us to be better at what we do. Today, we have a very, very exciting guest all the way from England, from London. His name is Ravi Shukle. Ravi is a social media expert. He’s one of the top UK’s consultants when it comes to using online to build better relationships, build communities, tell better stories, and just engage your audience so eventually they can convert to become better clients. Ravi, I’m very honored and excited to have you on the show. Welcome. Ravi: Great to be here, Jacob. I know we’ve connected online a few times. It’s nice to have this chance to talk one-to-one and dive in a bit deeper. Jacob: How’s everything in London? Ravi: Everything is cold in London. It’s getting dark earlier here. The weather is really cold. So I think everyone’s kind of preparing themselves for winter down here. It’s kind of a good time to kind of bog down and get all your stuff done before the New Year, I think. Jacob: Here in the US, we are just before Thanksgiving so it’s a perfect time to get some great conversation with you and I’m very excited to hear about some of the new things that are happening with you. But before we dive in to the content, why don’t you tell our audience about yourself and what you do? 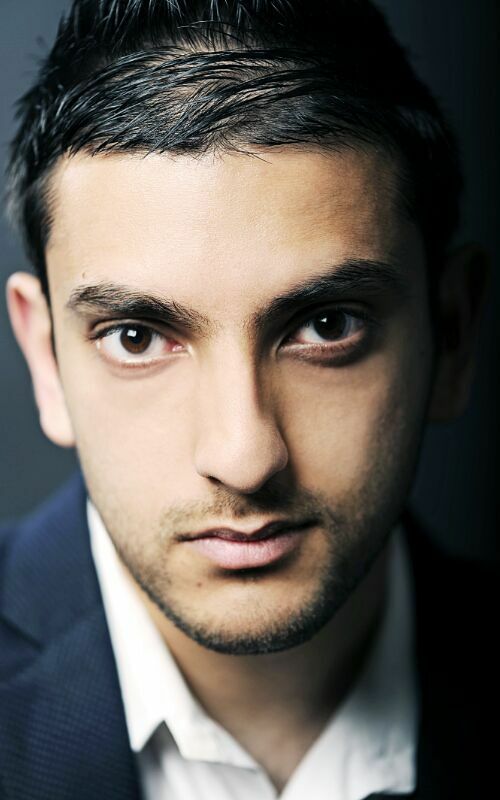 Ravi: I do social media management and strategy. Recently, at the time that we’re recording this podcast, I’m recently rebranding into more customer-focused role. What I’d be doing is helping entrepreneurs and business owners to develop a better relationship with their customers and their community. As a result of building low customers, you develop a community around your business, they help spread the word of your business and eventually that can then lead to increase sales and longer lasting relationships. That’s something I’m going to be focusing on now moving forward. It still encompasses social media and online marketing so it’s just about fusing the customer side of it for business owners with the online side and hoping to create that low community for entrepreneurs and business owners.